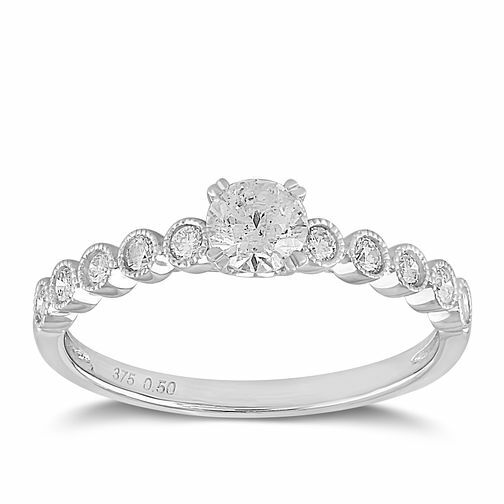 This captivating diamond ring is intricately created from 9ct white gold. Featuring a solitaire round diamond centerpiece set with a four-claw casing, this ring is adorned with round diamonds upon the shoulders, with a vintage inspired milgrain texture effect upon the white gold. A timeless piece perfectly poised for your own precious moment.